Capcom are well known for their classic arcade titles. The most infamous of these would clearly be the Street Fighter series. However, Capcom has already delivered a collection of all these titled: Street Fighter 30th Anniversary Collection. 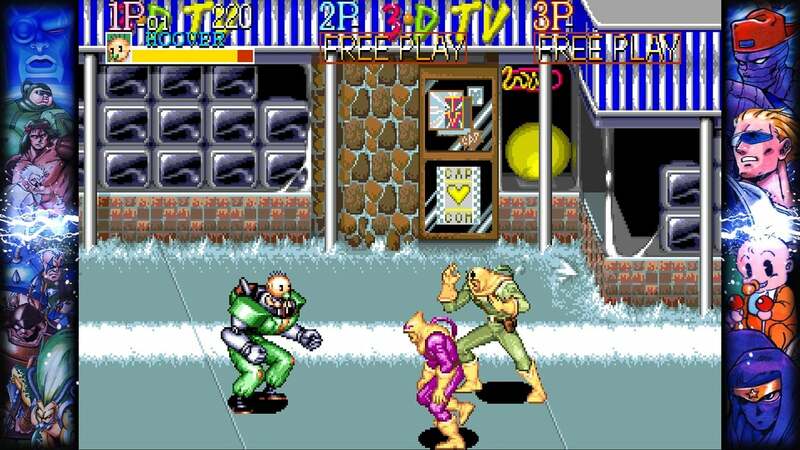 Sticking to the theme of bringing back nostalgic arcade titles, Capcom has decided to bring us seven classic games, two of which were never ported to home consoles before, within the Capcom Beat ‘Em Up Bundle. I may only have known about one title from the collection before I began playing this bundle, but I’m definitely a fan of all of them upon playing each one. So, whether you recall going to your local arcade and popping in 10-20p for an extra continue on the following games, or if you just want something fun and exciting to play, the Capcom Beat ‘Em Up Bundle will certainly keep you entertained for many hours. Gotta love the translations in early arcade games! So, they’ve done it again. 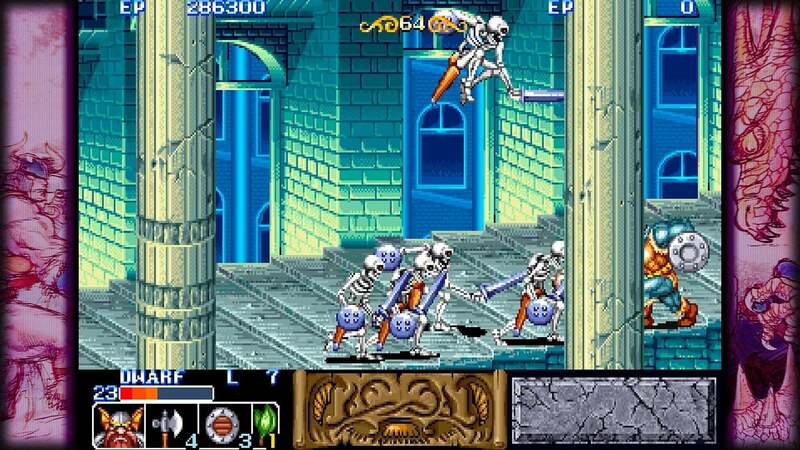 They have pulled together seven arcade classics and stuck them in a cheap (price-wise) collection for you to pick up on either your PlayStation 4, Xbox One, Nintendo Switch or PC. Not only that, instead of opting for the sub-par console versions of the past, they have packed ports of the actual arcade versions complete with adding more coins in order to continue. 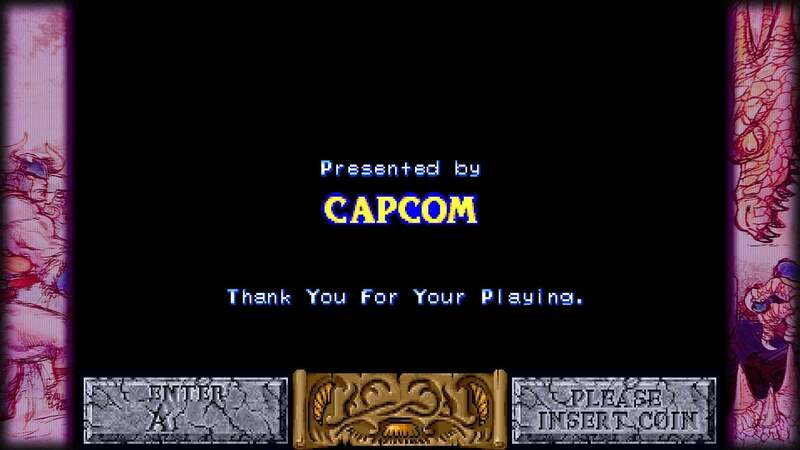 Well, you press Option/Start/Plus/Enter to continue, but it’s the same screen you would get in the arcade! Also, I’m not sure if people will miss this but there are no emulation options in regards to scaling, pixel quality, scanlines etc… So a total opposite of all the options we had in SEGAs collection. The game is set in a fictional city in the United States named Metro City. 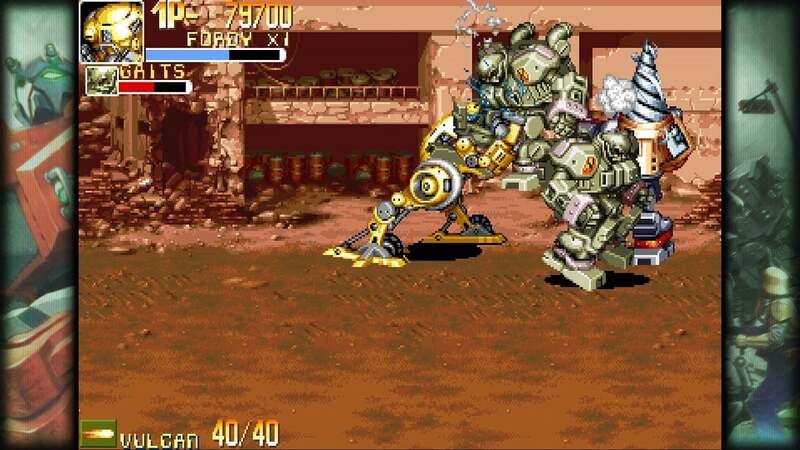 According to the game’s intro, in 1990 (or 1989 in the Japanese version), the city’s crime rate reached alarming levels. 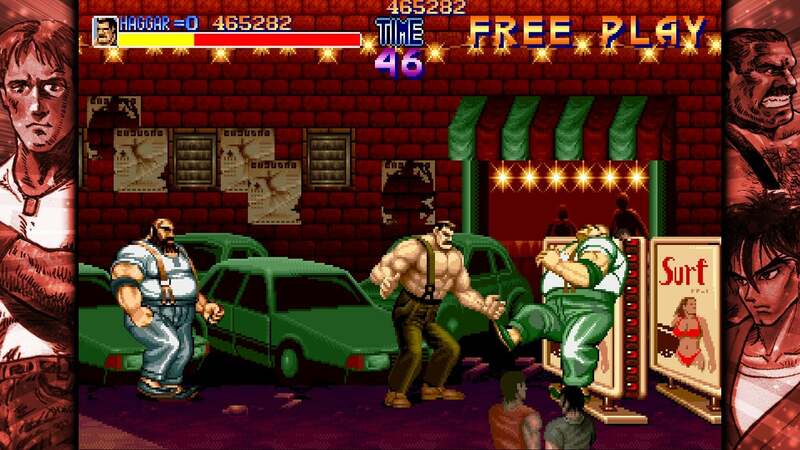 But since the election of pro wrestler turned politician Mike Haggar as the new Mayor, Metro City was changed and cleaned up drastically. Under his run, Haggar managed to suppress the crime rate of the city to its lowest points. While the citizens of Metro City were thankful for Haggar’s hard work in curbing crime, one gang, the Mad Gear gang, would not go down so easily. Under the leadership of the crooked businessman, Belger, the group attempted to bribe Haggar with a large payoff to keep him from going after them, which Haggar refused. The Mad Gear responded by abducting his daughter, Jessica, and creating further unrest among the citizens of the city. When Haggar found out about his daughter’s abduction, he becomes furious and decides to take his fight against Mad Gear to a personal level. 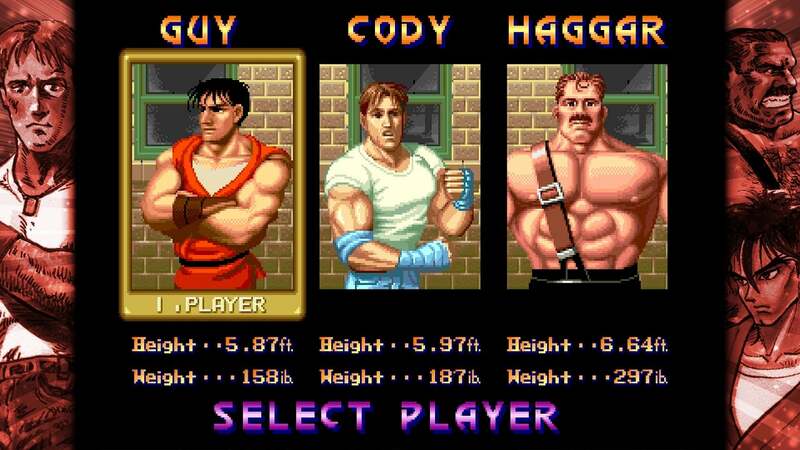 Seeking additional manpower, Haggar recruits Cody Travers, an expert fighter and Jessica’s boyfriend, as well as Guy, a ninja in training and Cody’s good friend. Together, the three dedicate themselves to the complete eradication of the Mad Gear gang, as well as the safe rescue of Jessica from their clutches. Who doesn’t want to be a baby in a mech suit? The game has 16 levels, though many are quite short. King of Dragons features a role-playing video game-like level advancement system. Points scored for killing monsters and picking up gold count towards experience, and the character gains levels at regular intervals. 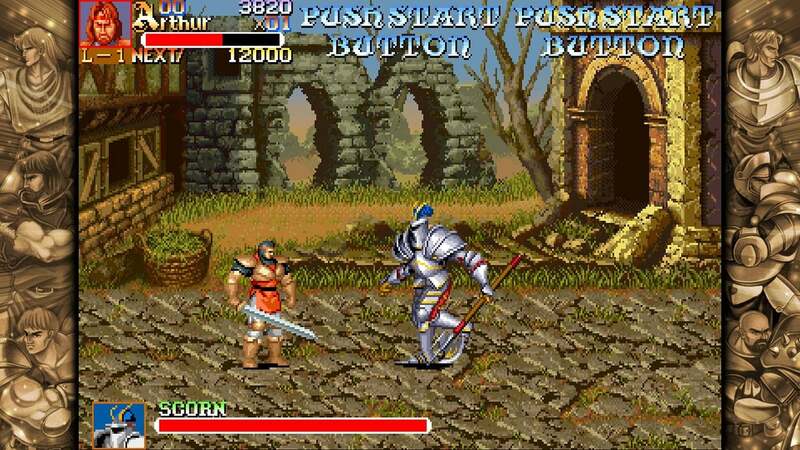 With each level, the character’s health bar increases, other attributes such as range improvement, and the character also become invulnerable for a few seconds. Along the way, different weapon and armour upgrades for each character may also be picked up. I’ve heard a lot of good things about this game. This one is a little strange. you begin on your horse. 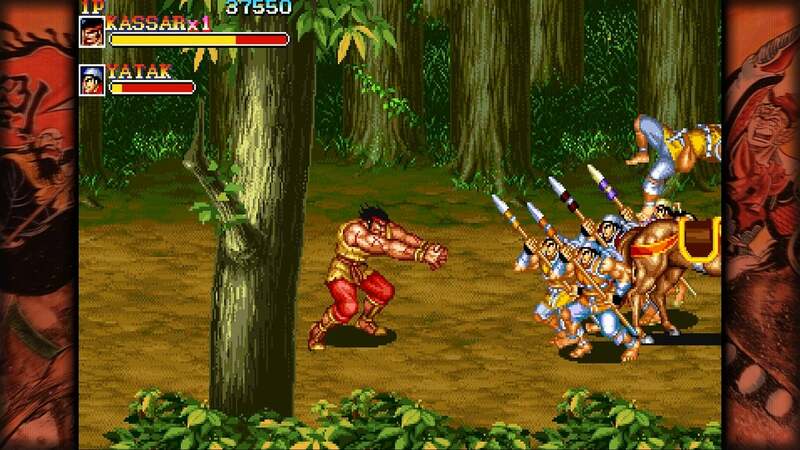 In the Japanese version, Tenchi wo Kurau II follows Liu Bei’s plight in Jingzhou from the Romance of the Three Kingdoms, a history-based novel from China, set in the Three Kingdoms period as Cao Cao sets to invade his lands. In Warriors of Fate, Shu Han, led by Liu Bei, as in the novel, was everything “good” and “righteous”, while Wei, led by the ever suspicious and cunning Cao Cao, is portrayed as “evil” and “bad”. Liu Bei’s warriors begin by fighting Cao Cao’s forces at the Battle of Bowang, then Battle of Changban, then finally join up with Sun Quan to fight at the Battle of Red Cliff. If the Five Tigers slays Cao Cao, Wu and Shu join forces and unites Wei and returns the Han back to rule and restore peace, if not Cao Cao escape and history continues as intended with the land in turmoil and the eventual demise of Shu. In the English adaptation, however, the Three Kingdoms theme was lost, and most names have been changed to names of Mongolian origin. The story takes place in a fictional realm where the evil overlord Akkila-Orkhan (originally Cao Cao) of Shang-Lo tries to conquer his neighbouring countries, converting them into ruin and despair. Kuan-Ti (originally Liu Bei), with the aid of the five great warriors, stands up against the conquering shadow and fights to defend his people and lands. One of the two which have never been ported before. In the year 2281, the United Earth Government and the Principalities of Raia signed a ceasefire treaty, ending a war that lasted for half a century. One year after the signing of the treaty, the United Earth Government’s 18th scouting party reported that the Raian capital, Melkide, has been captured by an army of unknown origin. The United Earth Government decided to dispatch an army to Raia to retake the capital and rescue its citizens. However, unbeknownst to the general public, the true purpose of this operation was to eliminate the unknown enemy and bring Raia under Earth’s control. Taking place in the future year 20XX, Battle Circuit follows the exploits of a group of super-powered bounty hunters as they apprehend wanted criminals (identified by special serial numbers) in the city of Neo Koba. The game begins with the player attempting to apprehend criminal 9696X, a scientist named Doctor Saturn and his blob-like sidekick aboard his spacecraft orbiting Earth. After the battle, the character selected by the player returns to his employer, Harry, and is promptly given another assignment to capture a member of the “Delete Gang”, Johnny, who holds a valuable floppy disk in his possession. The bounty hunter then confronts Johnny at his disco hideout and learns that the disc contains a malicious computer program known as the “Shiva (Tentei) System”, which is capable of controlling all computerized systems in the world. After selecting one of the available characters, players must travel through various levels- fighting through a variety of enemies from the Delete Gang- to obtain the disc and claim their bounty. 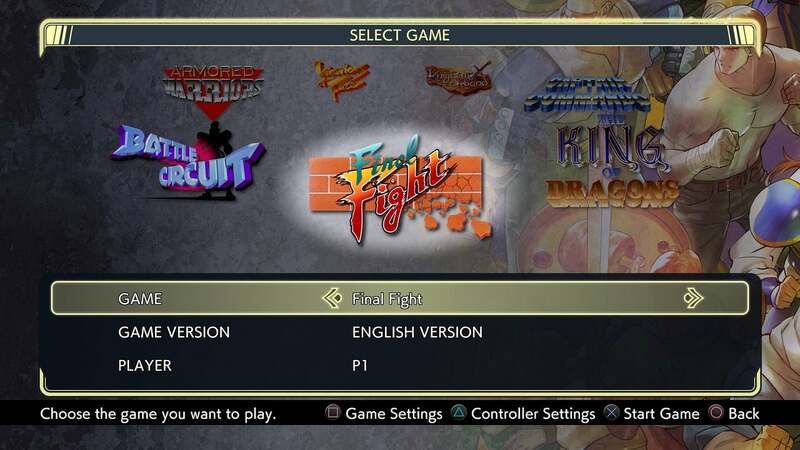 Each game comes with both it’s English and Japanese variant at the push of a button and you can fully customise each of the game’s difficulties before you enter the game. This has to be done before it loads it up as it’s an arcade port – so there are no in-game options other than to perform a savestate, load a savestate or quit to the main menu. 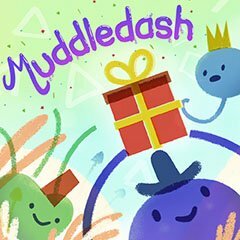 The difficulties are slightly different for each game but generally, you can set how hard the game is on a scale and if you gain extra lives via achieving a certain amount of points or not. 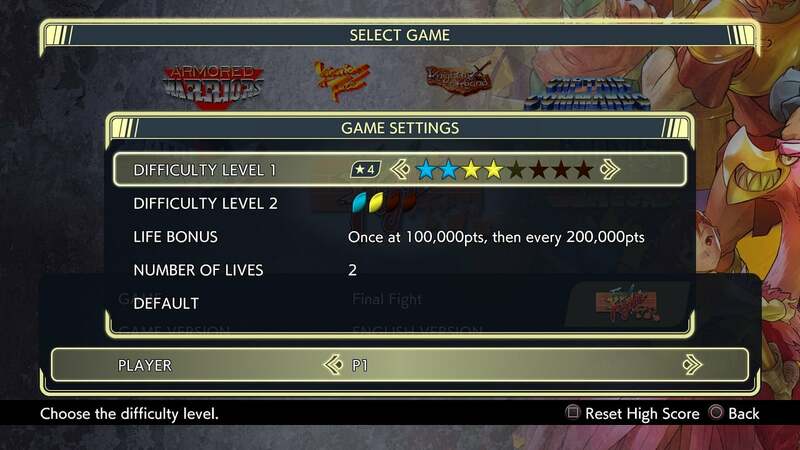 However, regardless of what you set these options too, you have infinite continues once you start the game and your score continuously increases as long as you don’t let the continue timer run out. Again, this is simulating you in an arcade with a pocket full of coins to shove in every time you die, but as a home-computer game, it does make them pretty easy. I would expect that this is probably why there is no platinum included in the game, as it would be super easy to achieve it with infinite continues. As such, your only trophies are for using a continue and beating all of the games. I’ve beaten two games so far and have a save in a few of the others – they seem to take around 60-90 minutes to complete solo. The multiplayer options in the Capcom Beat ‘Em Up Bundle are quite good if I’m being honest, but I feel they may be a little too precise. Basically, if you have buddies with you then you can all join in via couch co-op. Just pick up another controller and join in with 2, 3 or even 4 players in certain games. If you want to play online, then you have many options. First, you can create a game – set what game you want to play, what version of the game (Japanese or English) and which player you wish to play. You’ll then start the game and others can randomly join you as you go. The second option is to join a game, here you set your criteria and if anyone has created a game, like above, you will be able to join them as they play. The next two options are probably going to be used less but I can see their appeal. Create and join a lobby. As above, one creates one and the other join an existing one. This is where you can create small groups, chat with each other and then dive into the selected game you chose once you all agree to start. I imagine this will be used by friends who are waiting for each other (as it can be set to private) and those who want to play the game from the beginning in co-op. A decent amount of options per game. Finally, we have the ‘bonus features’. This comes in the form of a gallery showing off concept art, instruction manuals, artwork and even arcade cabinet controls images for each of the seven games as well as some especially for this collection. Personally, this gallery doesn’t do anything for me – some people may find it useful and good to look through, but it’s not like the Street Fighter one which had a timeline and info about all the different images. Don’t get me wrong, this is only a bonus and not the main appeal of the game, but a lot of it is in Japanese and I feel it would have been better if this was unlocked through gameplay with a trophy attached or something. Not much to say in regards to the visuals and audio – for me, it sounded pretty much arcade perfect in both aspects. I did have the issue with some numbers being cut off at the top of the screen, but they look fine on the screenshots, so I feel that may have been the SuperSampling that caused that on my TV. If you’re looking for a nostalgia trip of any of the above games in their original arcade format from when you were kids, this is the game to pick up and dive into! 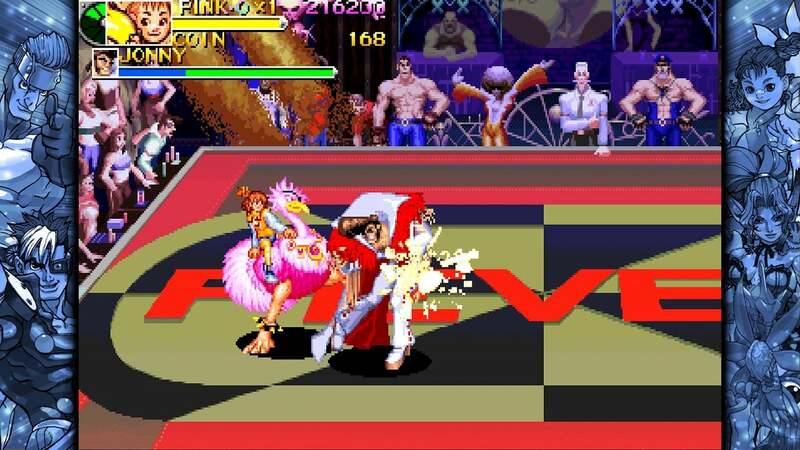 The only game I had played previously to playing the Capcom Beat ‘Em Up Bundle was Final Fight. I had played that title to death on the SEGA Mega CD when I was younger. 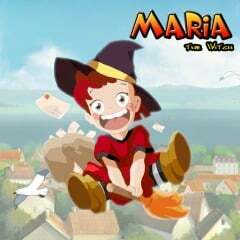 Up until now, I always thought that was the best version of the game I had played, but playing it in this collection made me fall in love with it all over again. Sure, it’s a lot easier with infinite continues, but you can limit yourself and set your own rules to try and make it through with the least amount of coins (continues). The other games in the pack are also really fun. I played King of Dragons through to the end and I’m almost at the end in Captain Commando and Battle Circuit. For the price, you’re looking at at least seven hours of entertainment, more if you dabble in the multiplayer and play online with people as well. 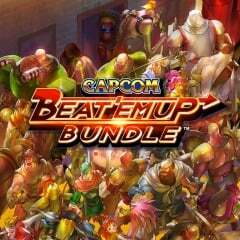 Capcom Beat ‘Em Up Bundle is a great game for both people with nostalgia and those who want to play a decent beat ’em up. For the price, you won’t find a collection of classic arcade beat ’em ups which are as true to the original source material as you do here. Capcom have chosen a great selection which is sure to excite and entertain everyone, both old and young. Sure, the game may be lacking a decent amount of extras and they have bypassed any emulation options within this release, but I feel that’s not an issue. People will buy the game for the games, not the fluff – as such, this is great value for money and should definitely be in your collection. Just for the lack of screen modes and filters this is a 7/10 for me… The CRt filter of SF30thA is perfect, why not here?! Yeah, I was a bit confused when I saw there were no options. I just presumed it was because they were arcade ports but I don’t know. Maybe they just wanted to try and keep it as authentic as they could? Would have been nice for a few screen sizes though.